Home Real Estate What is Escrow in Real Estate? What is Escrow in Real Estate? We take a look at the purpose of escrow, how it works, and escrow legal services. If you’re like many Americans who are in the process of buying a home, you may ask yourself: what is escrow on a house and why do I need it? Well, quite simply, an escrow account protects all parties involved. Whether you’re the seller or the buyer, you want to be assured that no funds are transferred until all stipulations of the transaction are met. This provides both parties with the reassurance that’s necessary when completing large or important transactions. Escrow is an agreement in the form of a contract, deed, bond, or other written legal arrangement where funds are put into the custody of a neutral third party until specified conditions are fulfilled. The escrow agent then delivers the asset upon completion. In the case of what is escrow on a mortgage, homeowners often pay private mortgage insurance and property tax into an escrow account, along with their mortgage payment each month. The mortgage holder then makes payments out of the escrow account on behalf of the homeowner when the bills come due. Though escrow may be most commonly known for real estate related transactions, it’s often utilized for the transfer of a valued business or property. Escrow services are also prevalent on a personal level through online services such as eBay. An escrow service receives, holds, and then forwards a buyer’s funds. This is dependent on instructions agreed upon by the buyer and seller. Once the buyer receives and approves the purchased item, the escrow service then has the go ahead to forward the funds. In regards to what is escrow in real estate, escrow legal services are law firms that specialize in residential or commercial real estate escrow services. They may provide everything from 1031 exchange facilitation to real estate escrow transactions. Escrow legal services aren’t just relegated to real estate, however, as they play a substantial role as settlement services for the purchase or sale of businesses. In fact, they may act as a closing agent, providing legal documentation and services to complete a large number of transactions. When it comes to choosing an escrow service, the consumer has the right to choose the escrow holder. However, the principles involved with the transaction must agree on which escrow service to utilize. A real estate broker can be helpful in recommending a suitable escrow service. For obvious reasons, it’s important to work with an experienced escrow company well versed in the area of need. Your realtor should play a role in coordinating the escrow process. Overseeing this process is vital in avoiding any untimely delays. The closing costs associated with escrow services may vary widely when it comes to real estate. Escrow fees are frequently determined by following a minimum fee schedule, though fees will fluctuate, depending on the escrow company and your location. Extra charges may apply, depending upon the variables associated with your unique escrow situation. It’s also important to understand that the escrow company has no control of service costs. These commonly include recording charges, insurance, title, and lender’s fees that may be associated with the buyer closing costs. In the case of an all inclusive real estate transaction, you can expect to pay anywhere from 2 to 4 percent of the total transaction. When the escrow process is complete, the escrow service records the new deed in the buyer’s name, which finalizes the transaction. Though, funds are often held in escrow after the close, this is common when it comes to paying contractors that may have unfinished work. The need for fair and objective transfer of property is more important than ever in today’s world. The escrow process provides the peace of mind necessary when transferring valued property. 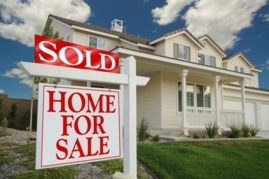 Whether it’s real estate you’re looking to transfer or other items of value, escrow provides an unsurpassed solution. Next articleWhat is Debt to Income Ratio (DTI)?